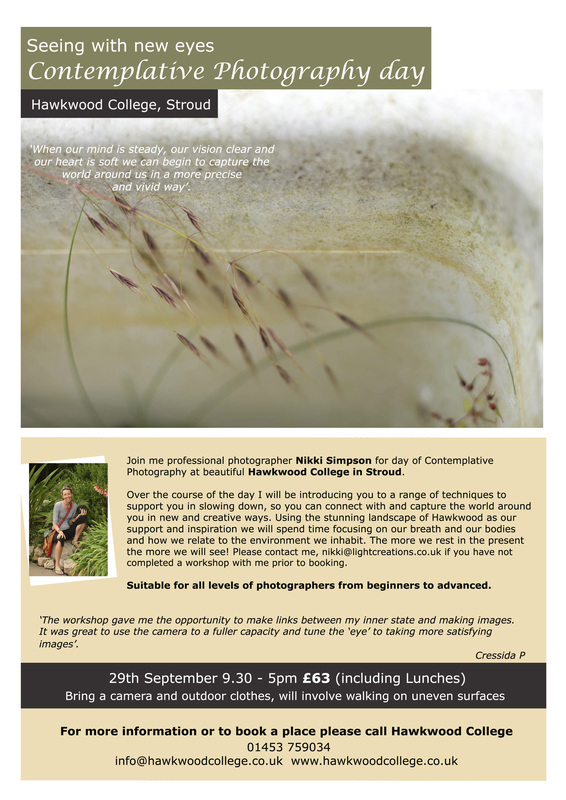 I am pleased to announce that I will be offering a one day workshop at Hawkwood, Stroud in the Autumn on Saturday 29th September where we will be exploring light, simplicity and space within the context of contemplative photography. 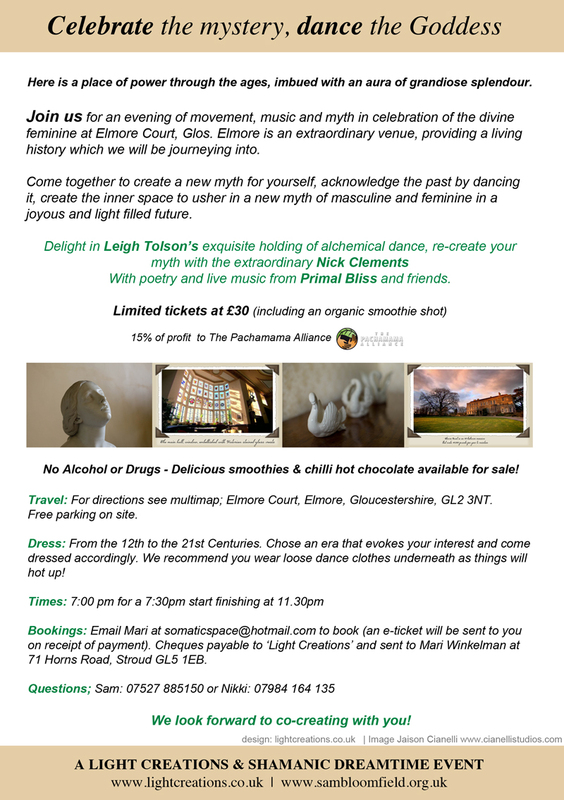 Join us for an evening of movement, music and myth to celebrate the divine feminine at Elmore Court, Glos. Elmore is an extraordinary venue, providing a living history, which we will be journeying into. 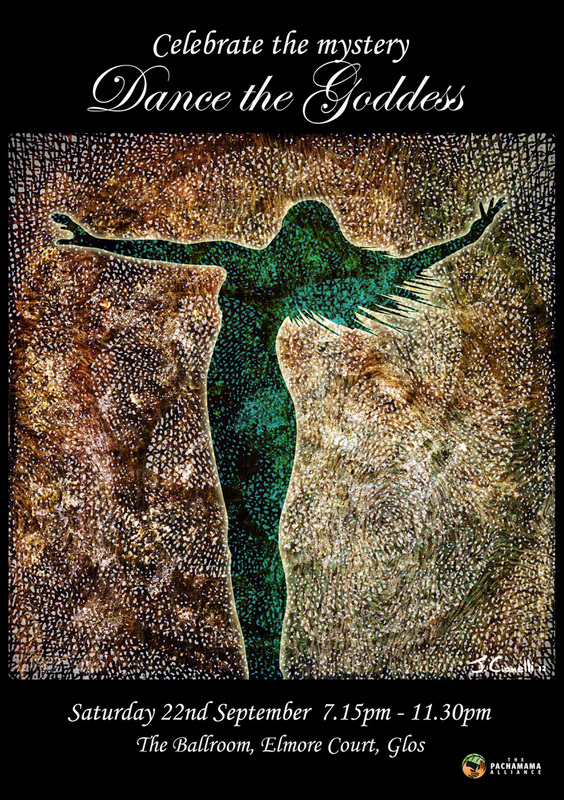 Come together to create a new myth for yourself, acknowledge the past by dancing it, create the inner space to usher in a new myth of masculine and feminine in a joyous, light filled future.